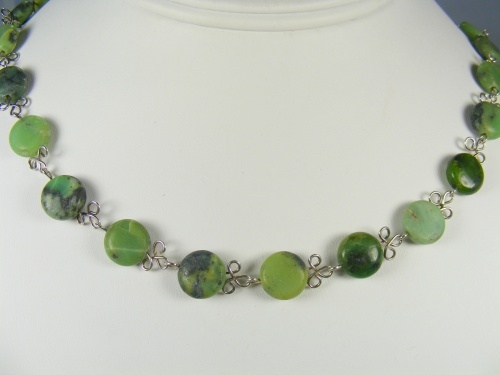 This pretty green jasper necklace is different because the beads arent shiny giving it a more earthy appearance. The gemstones are embelished with flower like desings of sterling silver. Comes with a complimentary pair of matching earrings. Measures 18".